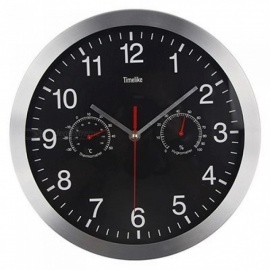 – This 12" clock displays clear time, temperature and humidity. 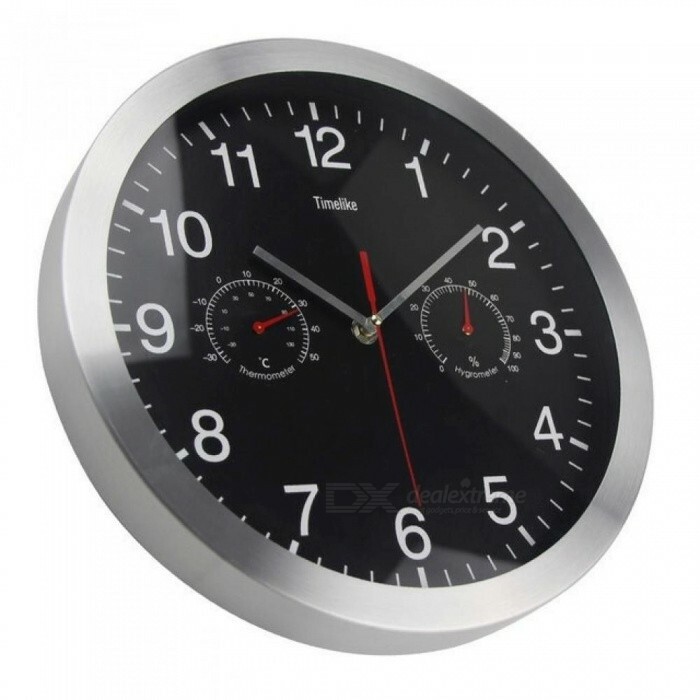 – Silent quartz sweep movement keeps good time, quiet and excellent. – Built in physical air data sensor(has nothing to do with the battery), sensitive and accurate, make it display real-time temperature and humidity without any delay. 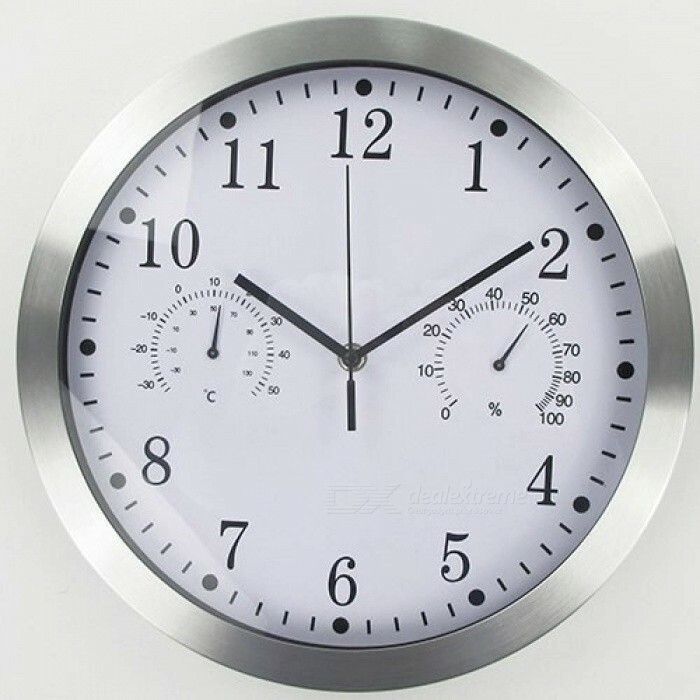 – Clearly 12-hour/ 60-minute/ 60-second clock dial, temperature and humidity dial are all on the same surface. – Special designed back hole offers easy wall-hanging. 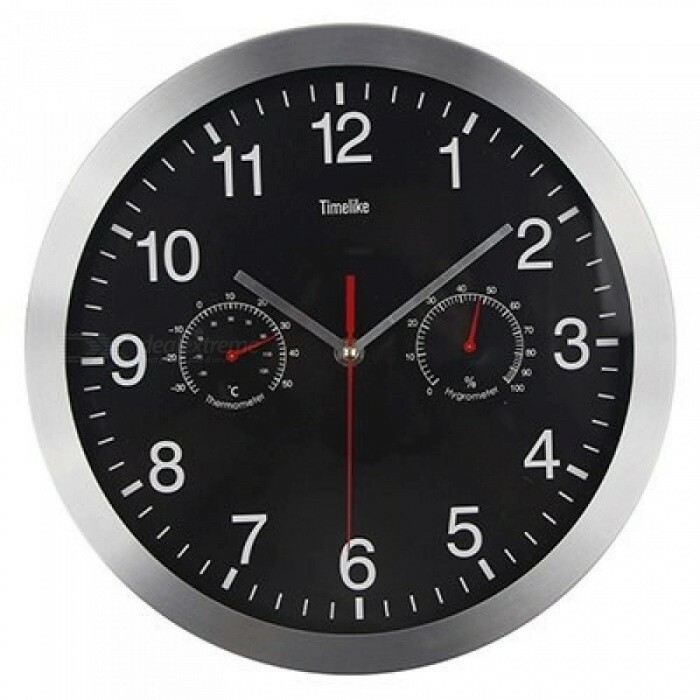 – Concise and tasty, stainless steel frame is more solid and classic. 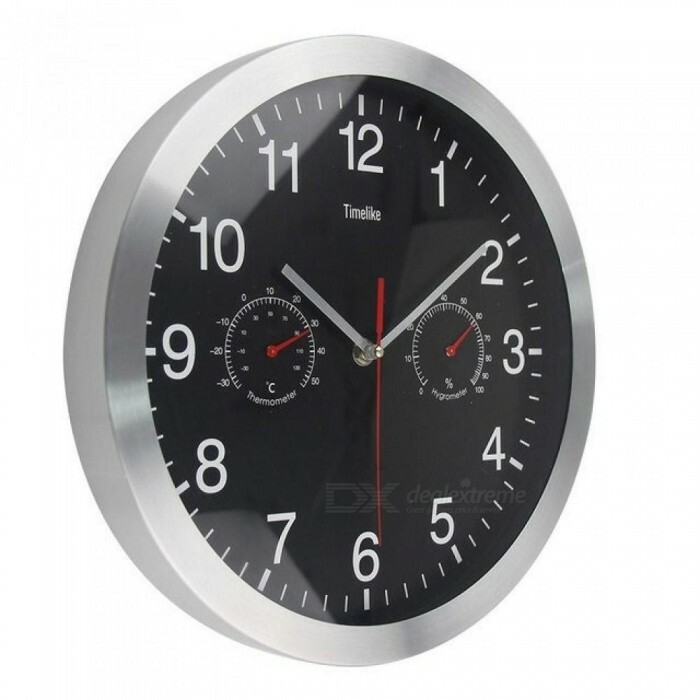 – Perfect for any decoration style, home, hotel, office, class room or fitness center. Battery is not included in the box. Alkaline batteries are not recommended for their heavy current will do harm to the movement.